“We have now been running together in a more or less amicable partnership for 30 years and obviously we cannot expect to run a great number of years more before one or both of us are incapacitated or depart from this troublesome world for good and all. As far as I am concerned I quite anticipate that I shall be booked in for another operation in the not too distant future”. …… it appears to me that it is up to us to anticipate the future and plan accordingly the ultimate destiny of the business and property. Also there is the question of Fred’s interest in the business to be dealt with when the time comes. One has to face facts. You see it takes me all my time to carry on. I have no clothes and my children are of no material help as yet.I should like to Re Furbish as the few sticks I have are worn out after 23 years.Also I should like to help the hildren to get a decent living as the amount I should be able to leave them will not be of too much use when it is divided. As you are aware my boy Barry is very unhappy in his work and can only see a life of clerical drudgery in front of him if he stays on. He feels that he has wasted 3 of the most valuable years of his life and after long consideration I have told him he had better give in his notice. I only mention this by the way as I know you have no regard for him or my other children or for the matter of that anyone else’s children to the best of my knowledge but you may appreciate that it adds to my personal problems. Referring to your remarks re your conversation with a keen business man in property and business, I am fully alive to all this, but if you desire to terminate your partnership with me and find conditions impossible, you would have to agree to sell out altogether or come to some reasonable arrangement with me to let me carry on the business. If I cannot come to some arrangement with you, I should buy another business elsewhere. things, you should ask the people concerned, in a pleasant and brief manner you would get on much better. 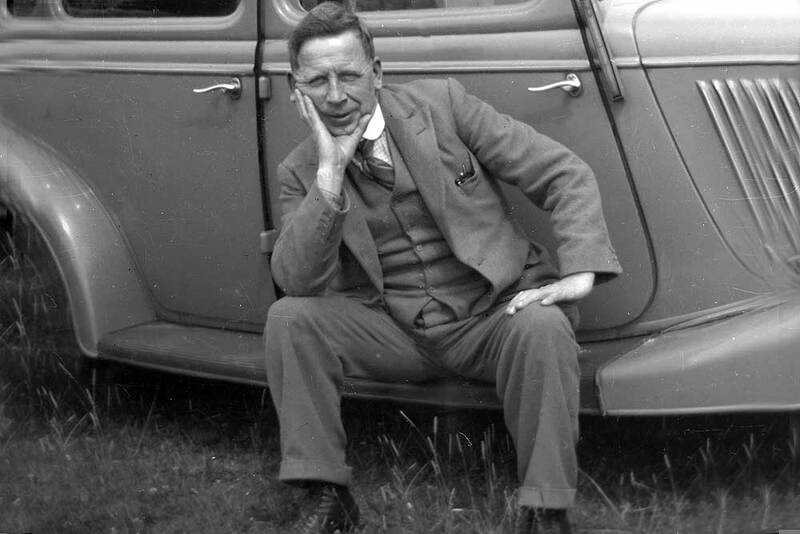 My grandfather, Percy Walter Winchurch, was a major figure in my childhood and had a massive influence on all of those around him. As a child, I adored him. As an adult, my respect and affection for him has not diminished and I want this to be a lasting tribute to the man and his achievements. Percy was born on 15 April 1882 at 83, King Edward Street Birmingham. He was the seventh child of Benjamin Winchurch and Eliza (née Tester). Benjamin was a glassblower and at times publican of the Cross Keys public house in Upper Windsor Street, Aston. 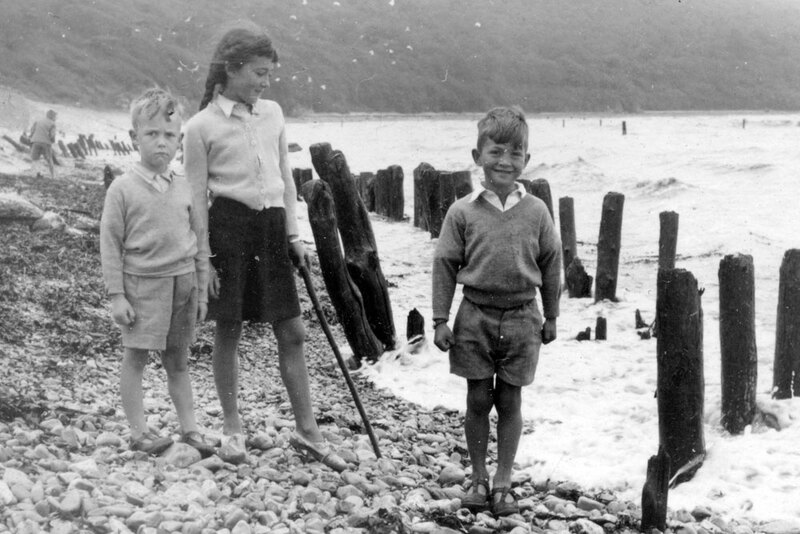 Percy’s grandparents, Thomas and Ann Winchurch had kept the Cross Keys since about 1855. Percy was therefore well acquainted as a child with the effects of too much alcohol on those around him and cited this as the reason for his lifelong teetotallism. In the 1880 Kelly’s directory of Birmingham, Thomas Winchurch (almost certainly Benjamin’s older brother) is listed as a glass maker in Phillip Street; surrounded by gun manufacturers and finishers. Benjamin died in 1891 at the age of sixty two, around the time of Percy’s ninth birthday. How difficult life was financially at this time is difficult to judge, but Eliza was certainly concerned about money, or at least the mysterious ‘Tester fortune’. I heard as a child Percy joke about being ‘descended from a German Baron’. He was not alone in the family to have heard of an ‘unclaimed will’ originating from the early 1800s. I have copies of the letters between Eliza, her youngest sister Clara and their cousin Maria about the existence of a will and their mutual cousin Betsy’s attempts to lay claim to any proceeds. I believe that Eliza was a driving force behind her sons’ successes. My grandmother, Marion described her as a formidable lady and she was not given to exaggeration. 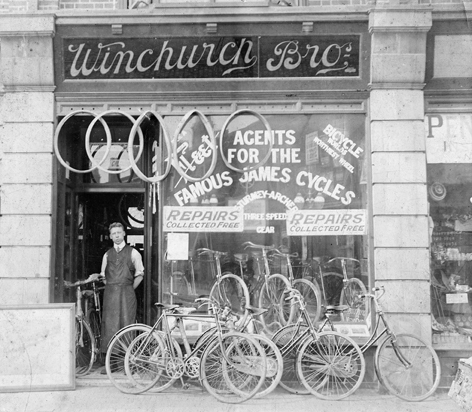 Winchurch Brothers cycle shop preceded the garage started by Percy and his younger brother, Roland. This seems to have been part of a shrewd move by Percy and Roland to target a wealthy section of the population who were about to lead the country into a long lasting love affair with the motor car. 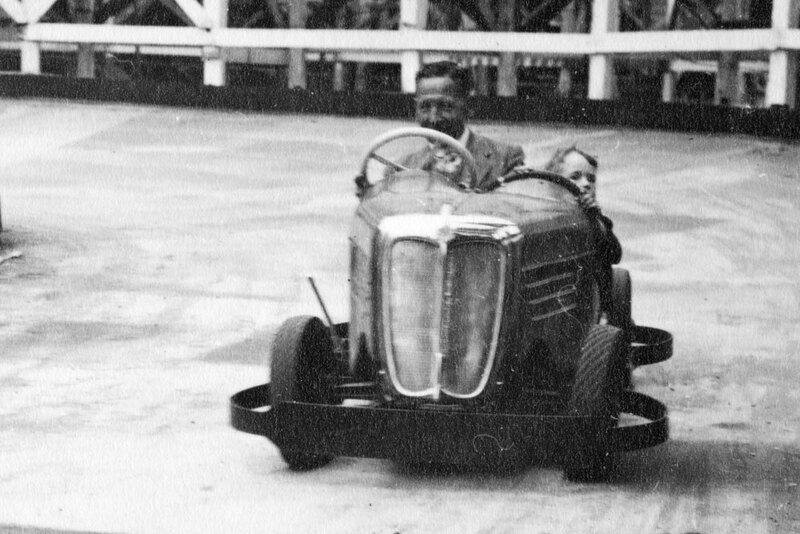 In the same year as Winchurch Brothers’ foundation, Herbert Austin formed the Austin Motor Company and began production at Longbridge in 1906. 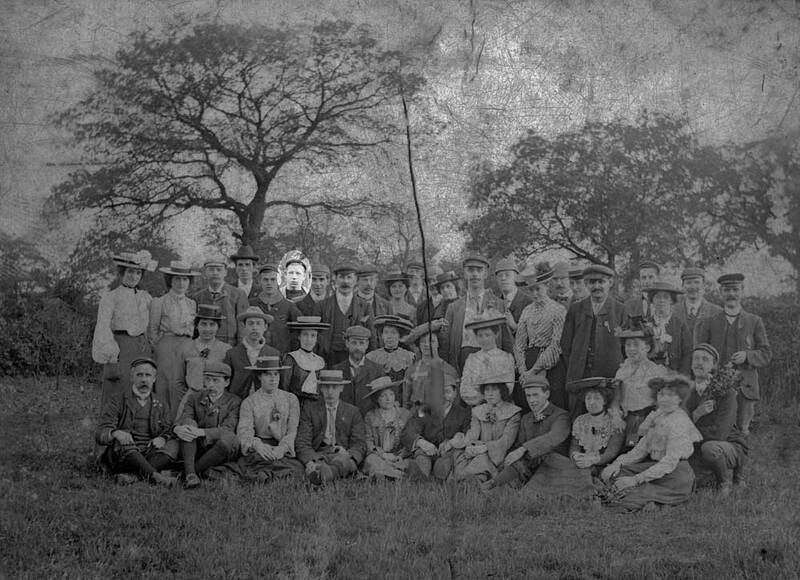 There are gaps in my knowledge of many aspects of Winchurch Brothers in the early years, from 1905 until my father’s earliest memories from around 1918. Percy’s surviving driving licences from 1914 to 1919 include an endorsement ordered by Kings Heath Police Court on 21 November 1916 for ‘not obscuring headlights’ on 29 October 1916, for which he was fined 10 shillings. This was, of course at the height of the Great War, but how much real risk ‘not obscuring headlights’ caused is a matter of speculation ! Their first child, Francis Victor Winchurch, known for most of his eighty three years as ‘Vic’ was born on 5 February 1914 at 12,Waterloo Road in Bearwood not far from the garage. His birthplace was the family home where Percy, Marion and Vic lived until the move to Pargeter Road (I think in around 1918). Interestingly, Percy is described on Vic’s birth certificate as a ‘Motor Engineer’. So only three years later, the motor side of the business had presumably become the more important. Percy, Jeanne,Vic, Horace Bench (husband of Millie, Marion’s younger sister), Millie, Mary Bench, Alice Brown (Marion’s mother). 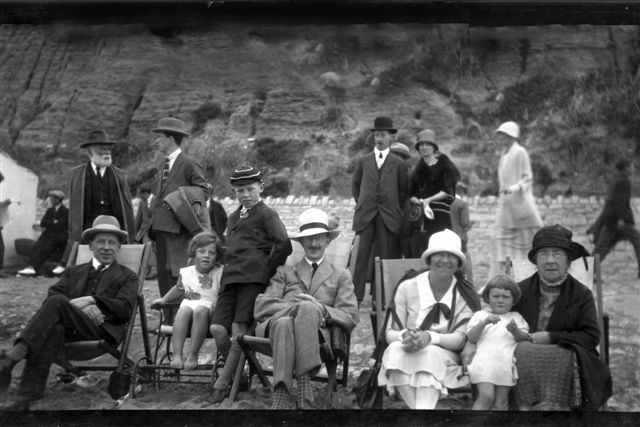 About 1925 at Meadfoot Beach, Torquay. 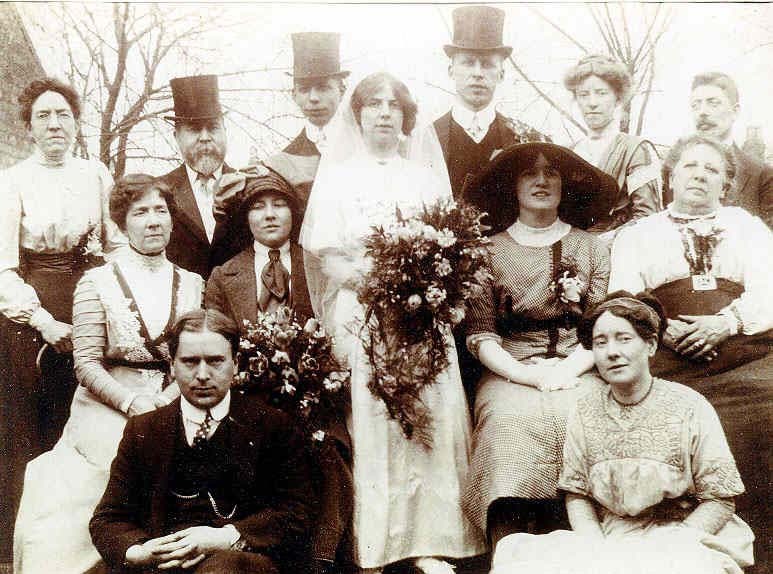 Roland meanwhile had Married Alice Wood in 1914. 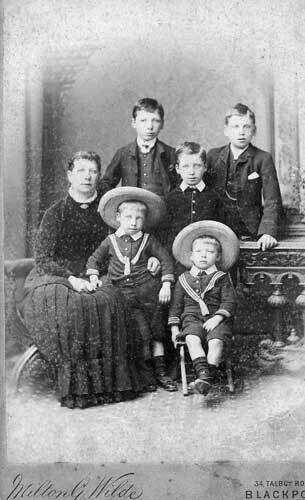 They had four children, Barry, Betty, Molly and Pat between 1915 and 1927. The brothers bought houses in the newly expanding suburb of Quinton. Roland, with his larger family, probably moved from Galton Road to 757 Hagley Road West in 1931, with Percy following to 755 a year later. A high wooden fence separated the back gardens ! 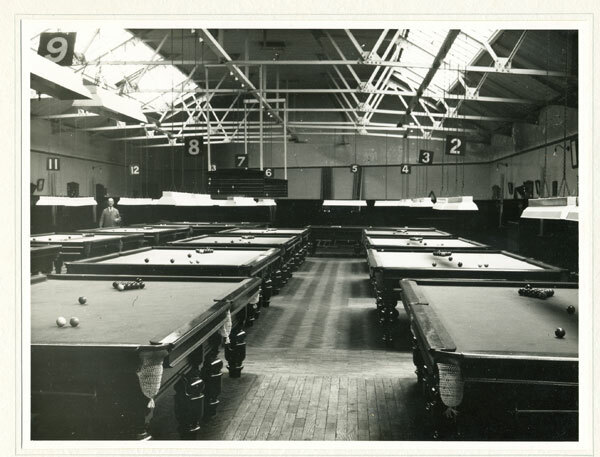 The Regent Billiard Hall about 1947. Notice the newly installed fluorescent lights – a pioneering feature. The Billiard Hall referred to in these letters, (or to give it its full name ‘The Regent Billiard Hall’) was situated adjacent to the garage fronting onto Bearwood High Street. It features in Kelly’s 1933 trade index to Birmingham and judging by references to its profitability in 1936, it had only been running for a few years. My guess is 1932. The years during the war cannot have been easy. Car production ceased and fuel was rationed.Vic joined the Royal Navy in January 1941 and became an operator of the new equipment known as Radar. Percy, along with a large part of the population on Britain, ‘dug for victory’ growing vegetables and keeping hens.He slept at Sandon Road on fire watch on a regular basis in a concrete ‘Pill Box’ next to the showroom. Birmingham was bombed by the Luftwaffe on several occasions between August 1940 and May 1941 and Bearwood Road School was hit, fortunately at night and there were no casualties. I don’t know how much fuel was stored at the garage at this time, but it can’t have been a comfortable place to be. I still have Percy’s wooden and canvas camp bed from this time. It became my bed for several years when I was a child. Vic had been added to the payroll of Winchurch Brothers after demobilisation from the Navy in 1946. I don’t think his employment did anything to remove Percy’s earlier misgivings about his involvement in the business. After a spell in the workshop, which I believe was not a great success, he was moved to the stores ! My pleasure as a result of this was derived from having a typewriter to play with when I called there. David remembers that too and additionally a narrow passageway between the back of the line of timber buildings and a brick wall behind. We both think used engine oil was stored there before being burned as fuel in the heating system. The minutes of a meeting and the associated financial report from 1947 reveal that Winchurch Brothers Limited was on a sound financial footing. Percy proposed that the directors’ fees be increased to £520 per annum from 1 October 1946, This was carried. ‘D’yow think as ower Percy’s susceptible to flattery’ ? Her reply was ‘Yes Roland, I think he probably is’. Millie had a wry sense of humour. Percy however had no evident signs of acceptance the received morality of a late Victorian childhood ! After Jeanne died in June 1949, Percy and Marion immediately put the house in Hagley Road West on the market and they moved to Stennels Avenue in Halesowen within months. Devon and Cornwall would have brought back painful memories, I guess and Percy’s thoughts must have turned to alternative holiday destinations. Pembrokeshire quickly moved to prime position and he began to make retirement plans. These included roles for my father and David and me (his grandsons). I don’t know whose idea boatbuilding was, but it clearly had links with my father’s wartime service in the Royal Navy. Suddenly, Francis Victor Winchurch, was thrust into the limelight.